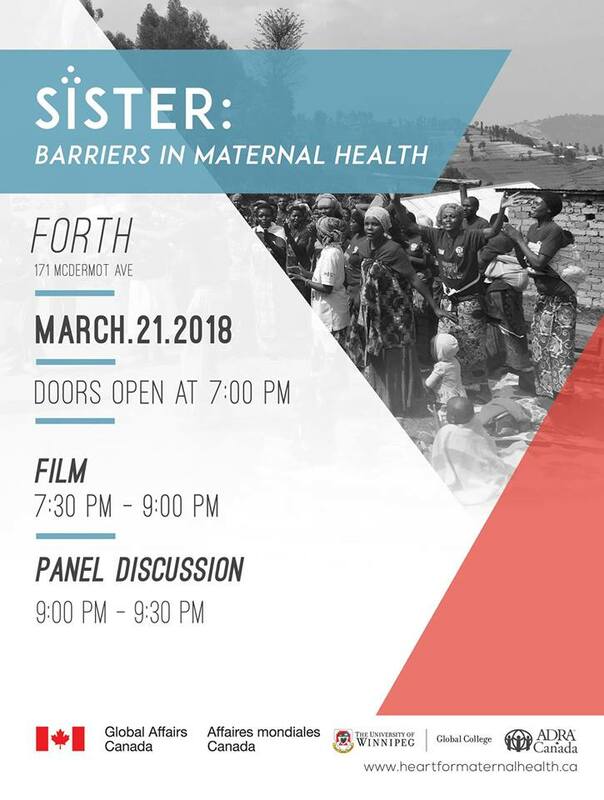 Sister tells the story of health workers from Ethiopia, Cambodia and Haiti, explores how they find meaning while working under difficult circumstances and reveals maternal and newborn death as a human rights issue. Janet is a midwife practising in downtown and north Winnipeg. She uses a pro-choice, inclusive approach and plays a major role in a program for healthy pregnancy in women who face barriers to maternal care, including low-income and Indigenous women and women dealing with drug addiction. She has done wonderful work in improving neonatal and maternal health in low-resource areas of Winnipeg. Bobbak is a paediatric nursing student in London, Ontario who traveled to Rwanda in August of 2017 as part of ADRA's EMBRACE program. He has first-hand experience in hospitals, emergency rooms, and paediatric and neonatal intensive care units, and is particularly concerned with unequal access to healthcare in local and global settings. Laura is an International Development student at the University of Winnipeg with a particular interest in health and social barriers to accessing healthcare. She has plans to attend medical school after graduation this spring. Laura studied maternal health in Rwanda as part of the EMBRACE project and now acts as a volunteer advocate in Winnipeg, drawing from her experiences in Rwanda and in Winnipeg to organize events and workshops. This event is the result of a partnership between ADRA Canada, the Global College of the University of Winnipeg, and Global Affairs Canada, and aims to advocate for safer pregnancy and healthy mothers and children in diverse, low-resource settings. The event is free and open to the community. Please contact us if we can do something to make the event more accessible for you.